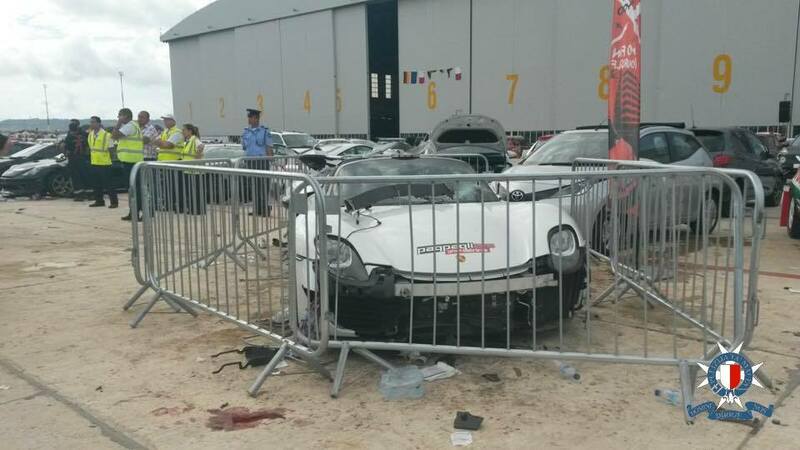 Horror at this year's Paqpaqli event in Malta as owner and experienced driver of hyper car Porsche 918 spyder loses control and ploughs into spectators leaving 26 injured, five of which are in critical condition. 17 combined trips were made between ambulances and helicopters to aid those injured at the event. 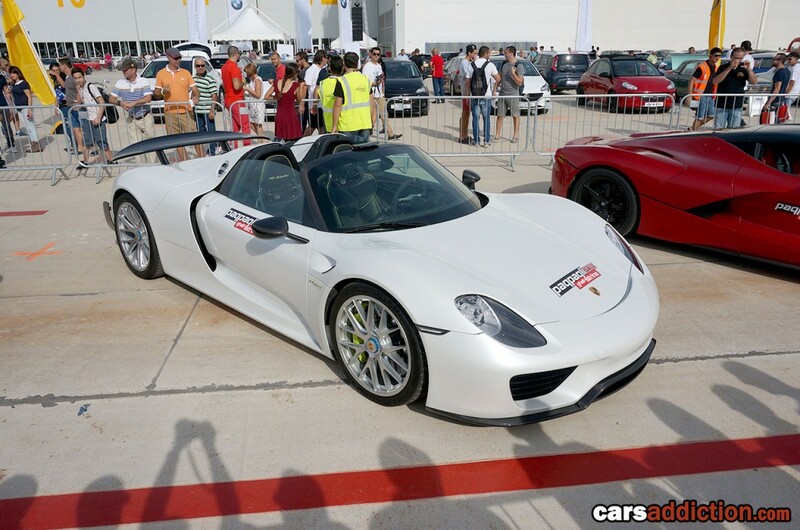 The €1,000,000 Porsche 918S is the successor to the Carrera GT supercar. With a combined 887 hp and 944 lb-ft of torque from its mid-mounted V-8 and electric motors—one at each axle—the 918 delivers Bugatti-like acceleration, tenacious handling, and a 211-mph top end. A spokesman for the event organizers said that an investigation into what caused the accident is on its way, however it was noted that the car or the wheel possibly developed a fault with the professional driver behind the wheel. The motor show was a fundraising event, held to raise money for community charity L-Istrina. The president of Malta, Marie Louise Coleiro, postponed a trip to the United Kingdom in order to visit the scene and victims at the hospital. The event takes place yearly on a runway, nearby the main airport. It is the only place that could accommodate such a crowd on the island of Malta for a car event. Malta has a large car following, including enthusiasts and motorsport professionals. However the island does not have its own motorsport track with the appropriate safety regulations in place, and following this event it is even more clear that one should be implemented. Our reviews of a racing circuit can be viewed here. 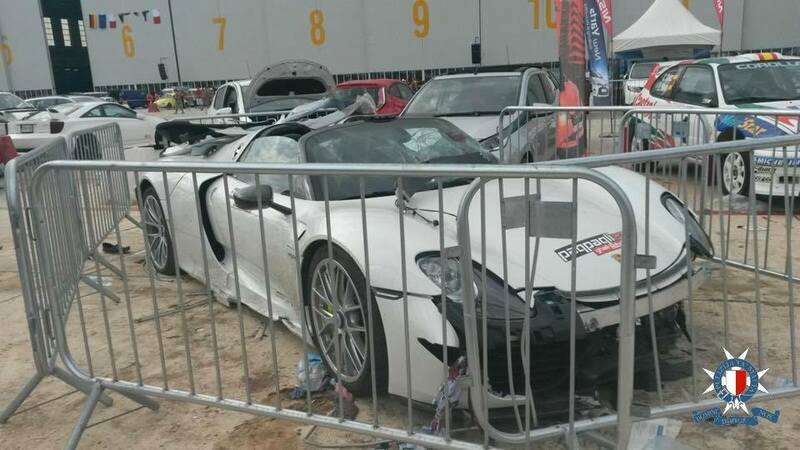 Photos of the wrecked Porsche 918 taken by the Malta Police Force. Click here to view photos of the event before the chaos.